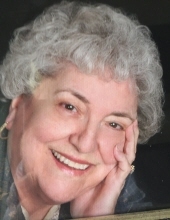 Jonesboro – Carolyn Tomazine Fielder, 78, went to be with her Lord and Savior Jesus Christ on Wednesday, October 24, 2018. Tommye was born February 3, 1940 in Light to the late Lawrence “Tom” and Elwanda Sawyers, where she grew up and attended Light, Greene County Tech Schools and Arkansas State University. Tommye was a member of Central Baptist Church in Jonesboro. She served the Lord in many Southern Baptist Churches, Bloomington, IN; Danville, IL; Champaign, IL; Louisville, KY; Lafayette, IN, Kalamazoo and Flint, MI; Olympia Fields, IL and Jonesboro. She loved the nursery and kids, and greatly loved the Sparks in Awana’s, which she led for ten years at Central Baptist in Olympia Fields. She spent many years in Bible Study Fellowship in four different states. Tommye participated in many discipleship programs, Master Life, Parenting by Grace, Covenant Marriage and many more through the years. She ministered to many people over the years, in her service to the Lord. She loved God’s Word, her grandchildren, her family and all kinds of crafts. She married Ron Fielder and that union lasted fifty-eight and a half years. They were blessed with three children; Rick Fielder (Pam) of Indianapolis, Indiana, Tom Fielder (Laurie) and Susan Fielder all of Jonesboro; the loves of her life, her two grandsons, Gideon and Sawyer; two step-grandsons and five great-grandchildren. Tommye was preceded in death by her parents and a brother-in-law, Dr. J. Larry Williams. She is survived by her husband, three children, grandchildren, a sister, June Williams and many special friends. A celebration of her life will be 10:00 am Saturday, October 27, 2018 at Central Baptist Church with Dr. Archie Mason and Rev. Mike Martin officiating. Interment will follow at Lorado Cemetery under the direction of Gregg-Langford Bookout Funeral Home. The family will receive friends from 5:00 until 7:00 pm, Friday at Central Baptist Church. Honored to serve as pallbearers are LeAnn Murry, Connie Rogers, Amanda Fielder, Lawrence Williams, Jeff Williams, Lawrence Fielder, Brian Fielder, Robin Rhea, Anthony Fielder and Tyler Fielder and as honorary pallbearers, the Sonshine Fellowship Life Group of Central Baptist Church. To send flowers or a remembrance gift to the family of Carolyn "Tommye" Fielder -GLBFH, please visit our Tribute Store. "Email Address" would like to share the life celebration of Carolyn "Tommye" Fielder -GLBFH. Click on the "link" to go to share a favorite memory or leave a condolence message for the family.